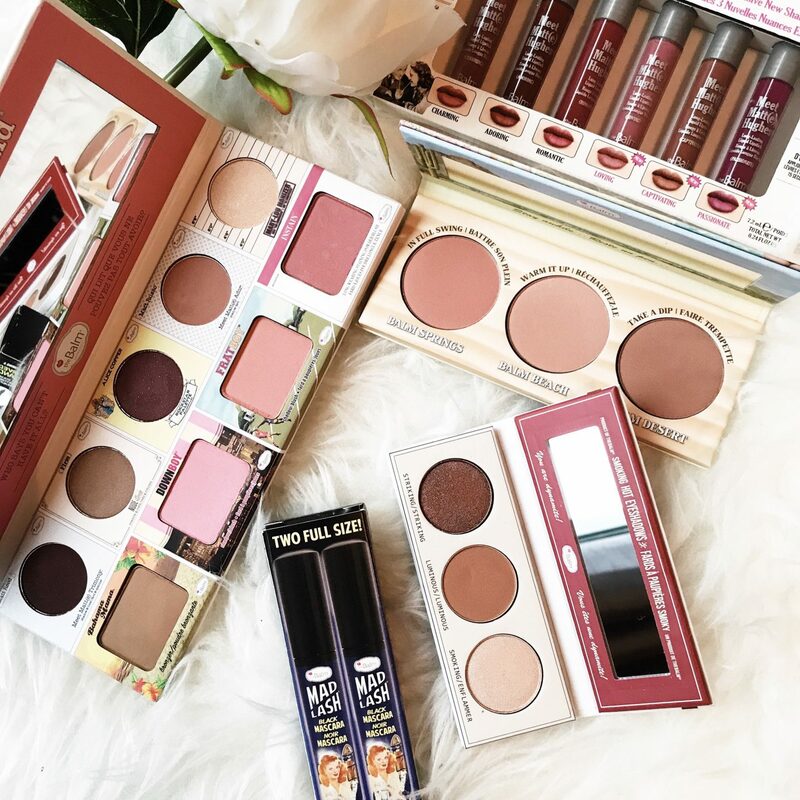 The Balm is a brand that I have recently fallen in love with. I have been using this collection regularly since it arrived in the door a few weeks ago. There is a great mix of new additions for the Holiday 2017 collection. 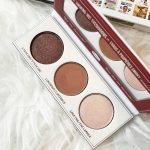 Today I want to share with you my first impressions and some swatches of the products. In total I have five items to share with you. This is the handiest palette ever. 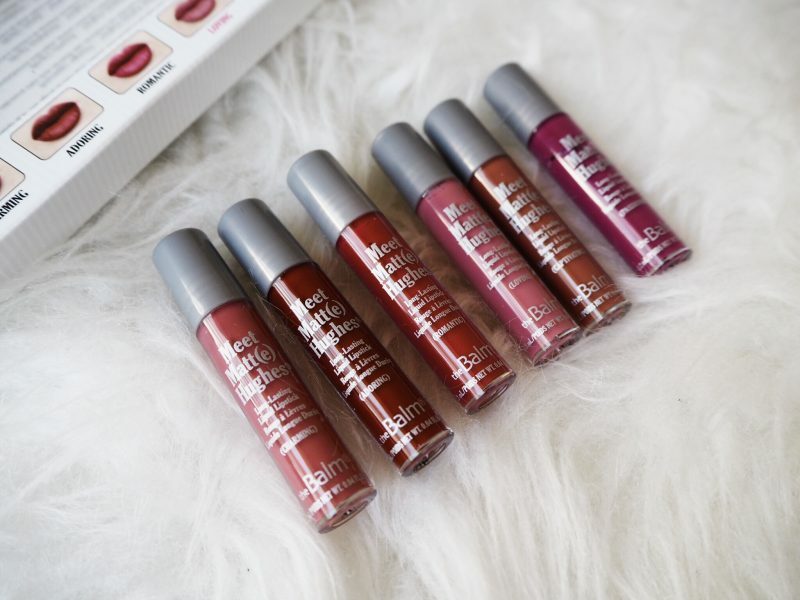 Containing a selection of their best selling products, it has all you need for beauty on the go. 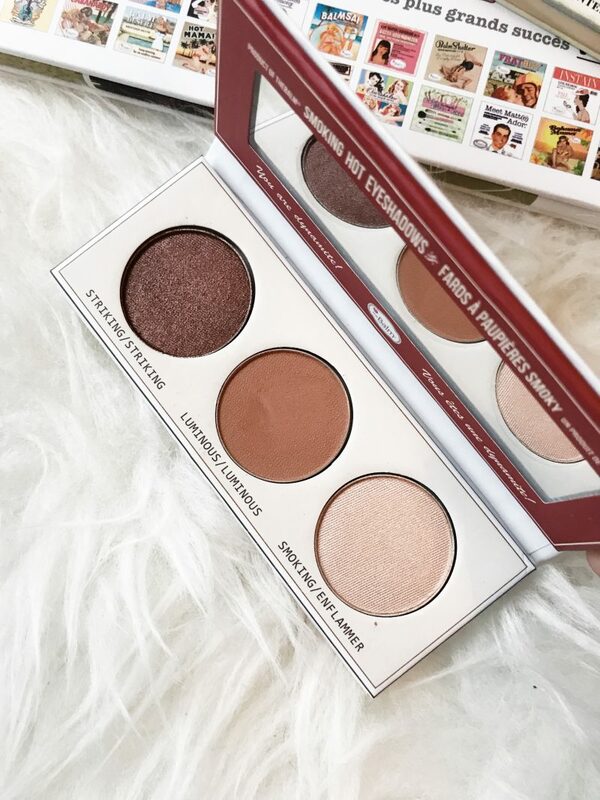 You get four eyeshadows, a highlight, a bronzer and three blushes. 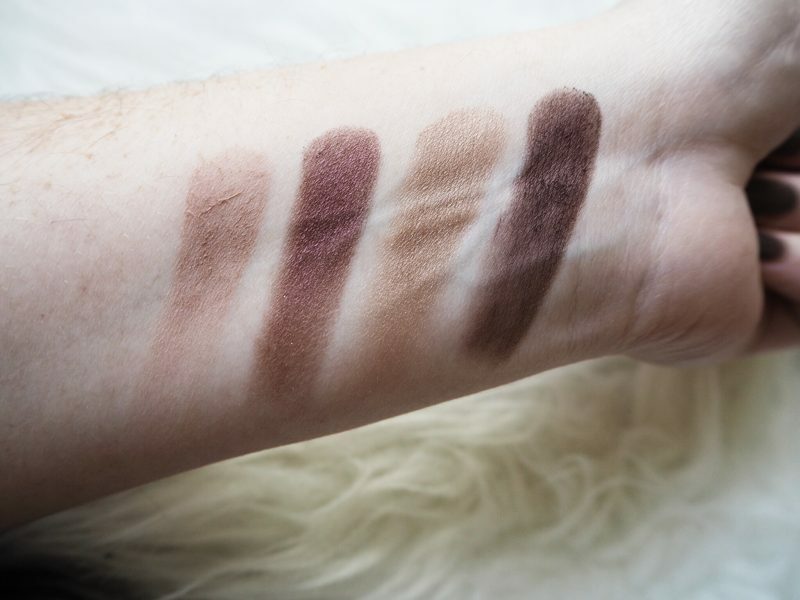 The shadows are easy to blend with shades that will suit everyone. You get a Mary Lou Manizer which is a beautiful champagne highlight. Bahama Mama is a suit all bronzer. Amid the blush shades, you have Frat Boy. 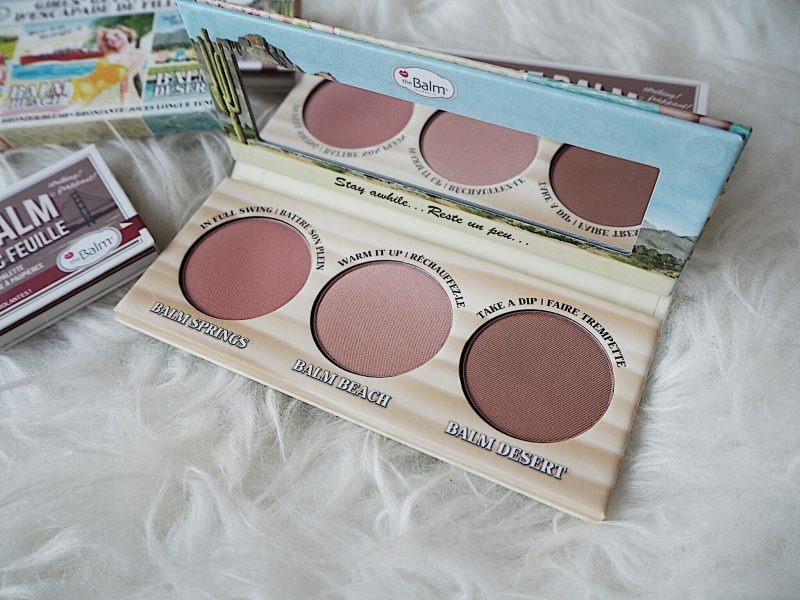 My favourite The Balm blush for a natural cheek. This palette is 32 euro and worth it. So handy to bring to work or for a weekend away. Literally.. The Balm In Your Hand. Buy HERE. This is a foiled eyeshadow palette containing three eyeshadow colours. Bonus points for this having a gorgeous matte transition colour that compliments the foiled shadows perfectly. Blend Luminous into your crease, pat striking all over your lid and highlight that inner corner with smoking. It is 14.50 HERE. 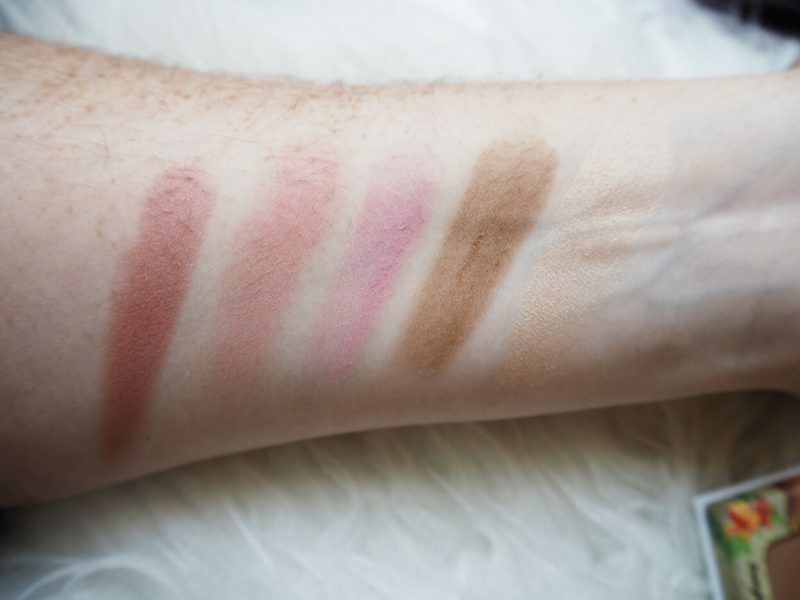 A palette containing three blush shades to match any make up look you wish to create. 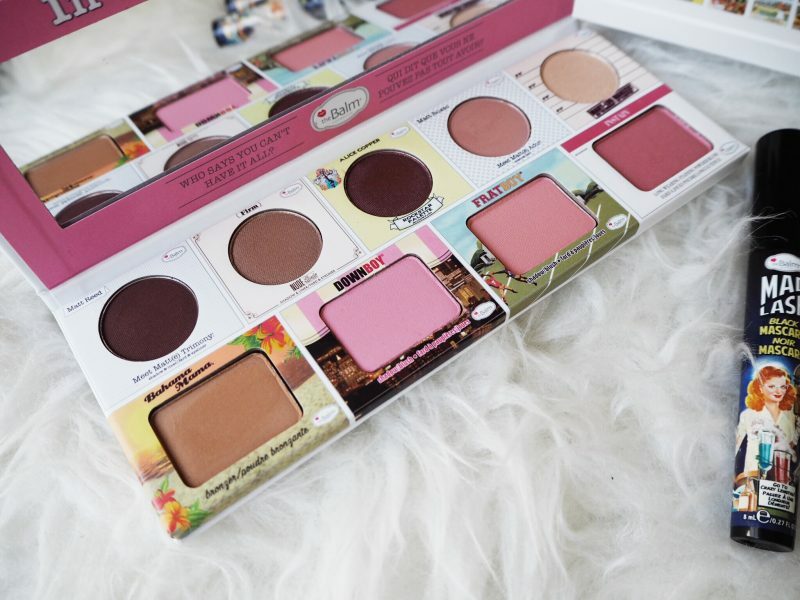 You get a rose tone, a neutral warm shade and a bronzer blush to flatter all skin tones. 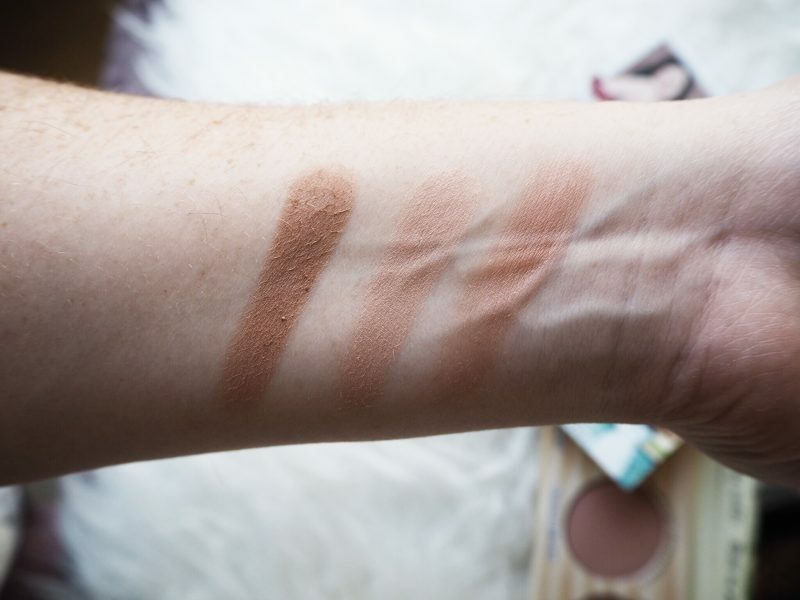 These powders are easy to blend, last a decent length of time and the pan size is generous. 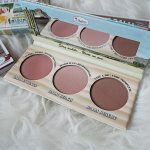 If you are looking to try some new blush colours or are not sure what might suit you then this is perfect for you! It costs 24 euro HERE. 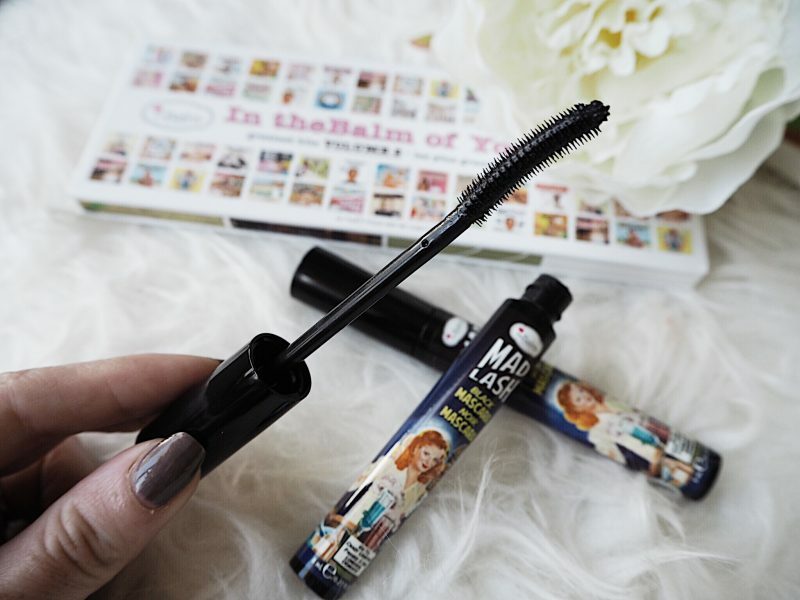 Now, what can I say about this mascara. I have pretty poor lashes. They need all the help they can get. 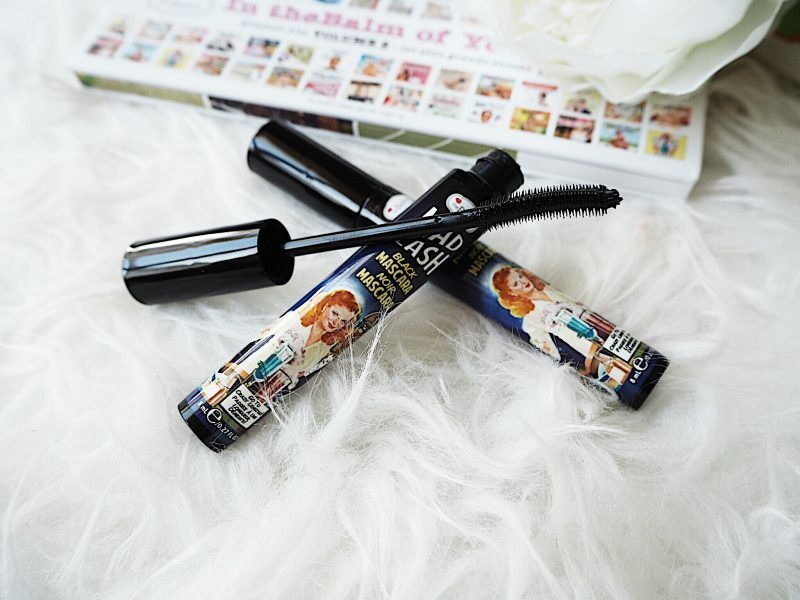 This mascara’s curved wand reaches each and every lash. It left mine with length, volume and curl. It survived a 12 hour shift without flaking or smudging. 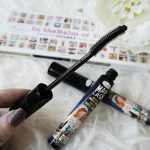 This mascara is all I have been using since I received it and thank god it comes as a duo because I need to always have this in my make up bag! You can buy it HERE for 20 euro. I love these little sets. 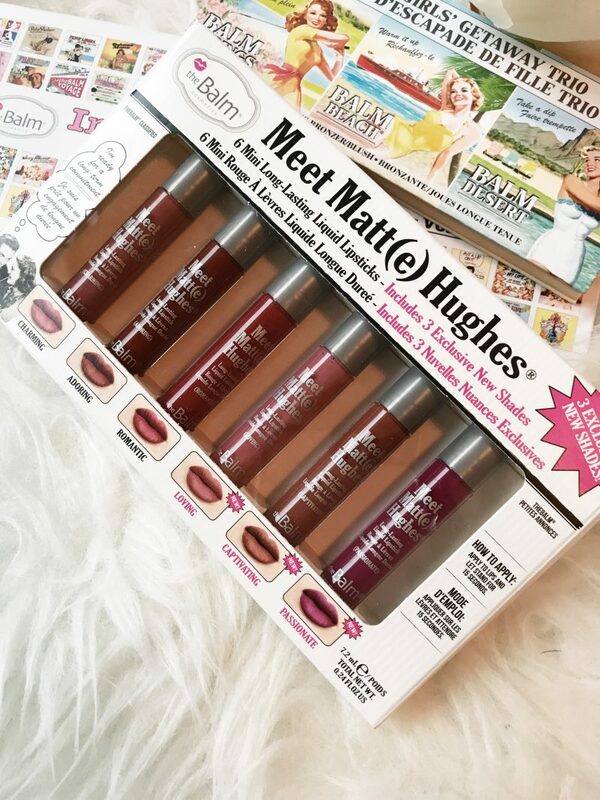 You get six mini versions of the cult Meet Matte Hughes Liquid Lipsticks, including three brand new shades!! 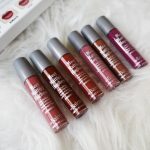 I love how you can use these to experiment with different lip colours without the expense of buying several full sized products. Each colour is wearable. 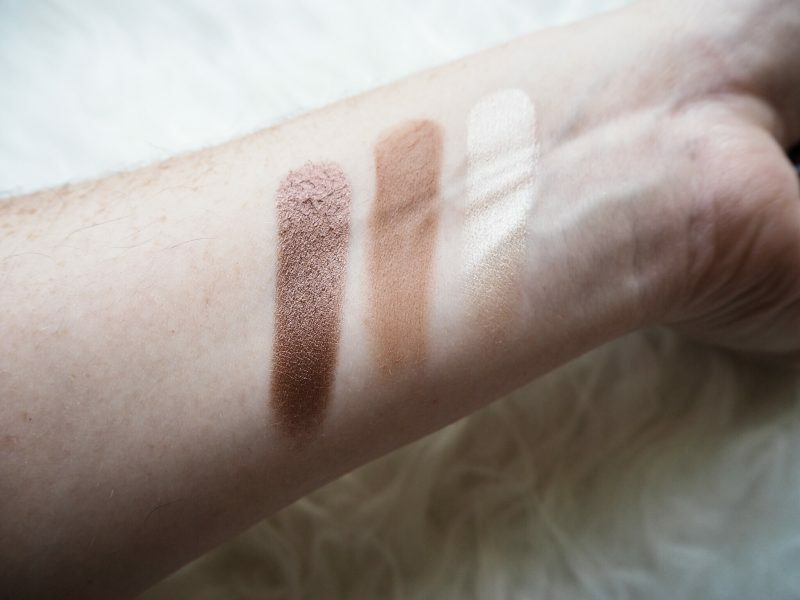 The formula is long lasting and the pigmentation is amazing. 29 euro a set HERE. 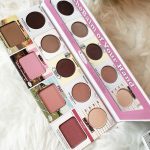 What is your favourite product from The Balm? 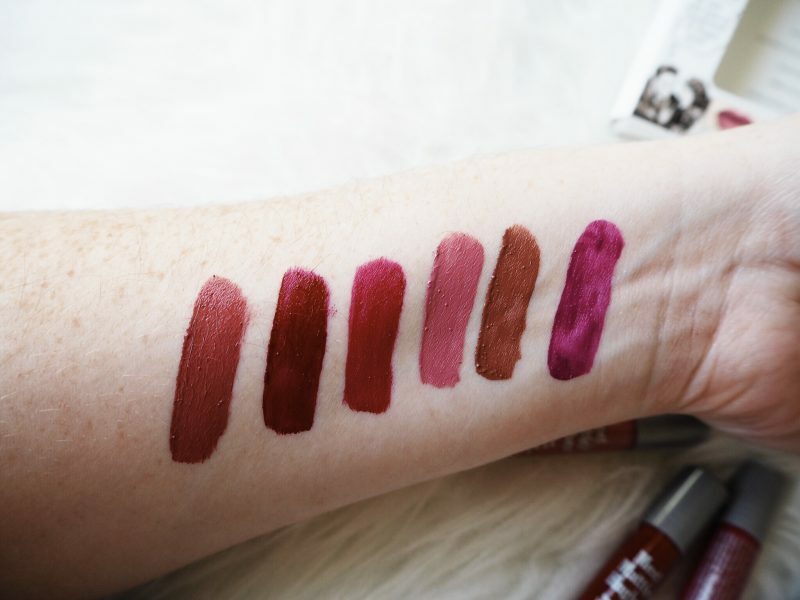 Will you be trying any of this collection? Next Post Cyber Monday – The Discounts Continue!